How to contact us You can contact us by email, or by direct messages on Facebook or Twitter. Are you on our mailing list? You can sign up here. We are the Save the Cabinet Action Group, a non-incorporated community campaign group. We don’t collect much personal data – we’re not clever enough to use data from cookies, for example, although our web site uses them – but we want you to know that we are committed to safeguarding the personal data we do collect. If you contact us by email we will use the information you provide solely for the purposes of providing you with a response. As part of the registration process for our emailing list, we collect personal information. We use that information to keep you up to date with news on the campaign; to tell you about fundraising or other events and to solicit financial contributions to the campaign (this might include through the sale of merchandise). We don't share email lists with other organisations or businesses. We use a third-party provider, MailChimp, to deliver our e-newsletter. We gather statistics around email opening and clicks using industry standard technologies to help us monitor and improve our e- newsletter. For more information, please see MailChimp’s privacy notice. You can unsubscribe from general mailings at any time of the day or night by clicking the unsubscribe link at the bottom of any of our emails or by emailing our data protection officer Edwin Kilby at info@savethecabinet.uk. You are entitled to view, amend, or delete the personal information that we hold. 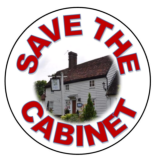 Email your request to our data protection officer Edwin Kilby at info@savethecabinet.uk. This policy was elaborated on 19 May 2018 and will be reviewed no later than 12 months from that date. 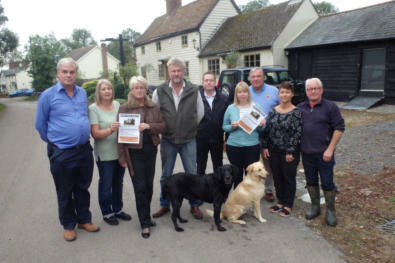 We are the Save the Cabinet Action Group. We don’t collect much personal data – we’re not clever enough to use data from cookies, for example although our web site uses them – but we want you to know that we are committed to safeguarding the personal data we do collect. If you contact us by email we will use the information you provide solely for the purposes of providing you with a response. As part of the registration process for our emailing list, we collect personal information. We use that information to keep you up to date with news on the campaign; to tell you about fundraising or other events and to solicit financial contributions to the campaign (this might include through the sale of merchandise).  We don't share email lists with other organisations or businesses. We use a third-party provider, MailChimp, to deliver our e-newsletter. We gather statistics around email opening and clicks using industry standard technologies to help us monitor and improve our e-newsletter. For more information, please see MailChimp’s privacy notice. You can unsubscribe from general mailings at any time of the day or night by clicking the unsubscribe link at the bottom of any of our emails or by emailing our data protection officer Edwin Kilby at info@savethecabinet.uk. You are entitled to view, amend, or delete the personal information that we hold. 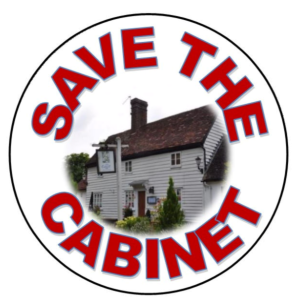 Email your request to our data protection officer Edwin Kilby at info@savethecabinet.uk. This policy was elaborated on 19 May 2018 and will be reviewed no later than 12 months from that date.